As markets for artisan and specialty cheese grow, a new national survey found many cheesemakers have a hard time staying in operation. The survey, the first of its kind to be conducted by the American Cheese Society, includes responses from more than 900 specialty cheesemakers in the United States. The average age of operations in the Midwest was 20 years, but Nora Weiser, executive director of the American Cheese Society, said there are a lot of new producers who don't make it. "When we looked at how long people have been in business, you can see that there are people entering and leaving the business," Weiser said. "There's a lot on the younger end of it." 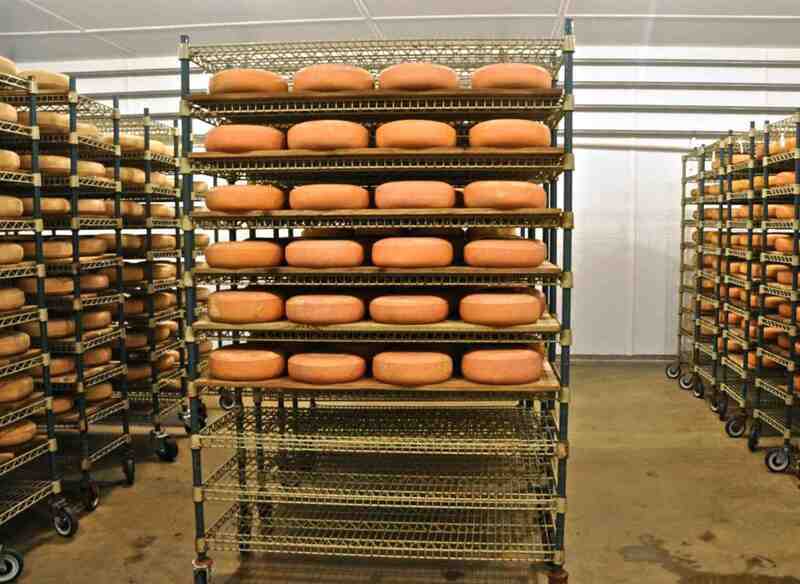 While artisan and farmstead cheese can come at a premium price, Weiser said they often don't reflect the actual cost of production for small cheesemakers. Almost a quarter of cheesemakers surveyed said they didn't make a profit in 2016. Three-quarters of those surveyed produced less than 50,000 pounds of cheese last year, which Weiser said is equivalent to 3 semi-trailers. "It's not a small amount of cheese for an individual, but for a business it's really small," Weiser said. "A lot of those producers are selling direct through a farm shop or at a farmers market or just through some very small local independent retailers." While the survey shows the challenges of specialty cheesemaking, John Umhoefer from the Wisconsin Cheese Makers Association said Wisconsin producers may have more staying power. "I can name perhaps one business out of the 40 that I look at on my screen that didn't make it in the last 10 years," he said. "So their ability to stick around has been remarkable, and we're seeing these companies grow as well." And the future of artisan cheesemaking may not involve cows. "What's coming on strong is goat's milk producers, farms getting into making chèvres and goat styles," Umhoefer said. "Even smaller, but I think with great growth potential, is the sheep's milk cheese." Umhoefer said more Wisconsin dairy farms are beginning to add cheesemaking to their operations as a way to increase profits. This article was originally published on WisContext which produced the article in a partnership between Wisconsin Public Radio, Wisconsin Public Television and Cooperative Extension. Previously: Wisconsin Cheese Production Continues To Grow.